I’ve been having a problem with Z axis on a BP series1 milling machine during reverse in tapping cycles. The stepper on Z stall anytime the feed is set for more than 13 IPM. It seems that gcode calls for more acceleration than the motor can provide. I have changed motor tuning options in all sorts of way and I can overcome this problem by setting the acceleration really low to 0.4 IPM with velocity of 100 IPM. 80V supply on each axis. 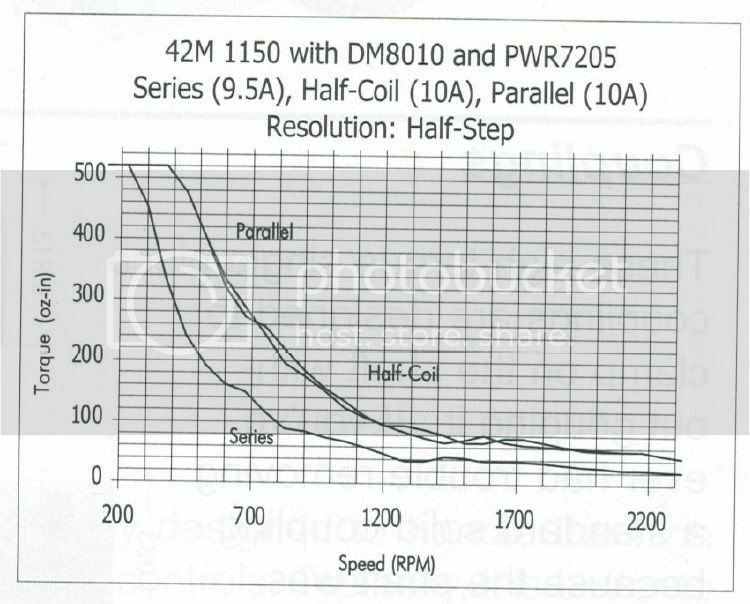 Looking at the motor chart, it looks like I should be able to run about 80 IPM (400rpm/5tpi) and full power. In motor tuning screen I can set the velocity to max of 150IPM with acceleration set at 10IPM and have no trouble moving the axis. So why is the stepper stalling on the retract part of the tapping cycle with federates exceeding 13IPM? feed rate but without any time for acceleration and I think this is what stalls the stepper. swapping harware channels (motors, drivers) and I still get the same issue. Although when I sawp Z with X, it seems to have higher limit as to at what feed rate in stalls. Also, I believe the reason the stepper is stalling in retract portion of the cycle is due to more load due to gravity. I checked out the machine and it is not hanging up or binding in any way. I also changed microsteping to 5 from 10 I am not sure if it made a difference. Tried Shirline pulsing, no difference. Could it be the way gcode calls for feed? It seems to want full feed rate without trying to accelerate the motor, maybe this is how it needs to be, but I don't have this problem when I'm milling in x-y with higher feeds. I included TAP file with the tapping cycles that I'm trying to do and also my XML. I would appreciate any input at this point. Are you using a floating holder for tapping or are you trying to rigid tap? Hood, good point, I use floating. I should mention that I am testing while air cutting. I'm having issues with attachments. I will add XML. Try lowering the Velocity and you may find you can increase the accel. I did that on my Bridgeport, went from 2500mm/min to 2300 or somthing like that and could increase the Accel from 40 to 120. Hood, I did try velocity of 40 without much difference. So you're thinking that the motor just can't accelerate fast enough? I'll play with lower velocity some more, but what's interesting is setting the acceleration to 0.4 makes things work except the axis behaves like it has a ton of inertia (keeps going for some time after you release the button). Looking at my settings and the fact that the axis can rapid very fast doesn't it seem strange that it stalls during g-code? The reason it goes on after you release is because of the slow accel, when you release Mach will slow at the accel rate so if its low it will be a while after you release the jog key. Will go read your post again, was thinking it was the Z that was stalling. Ok read again and it is your Z but it was the last post I didnt read correctly Thought you had said X Axis, must be needing my eyes tested. Tried g0z1 at all different rates from 10th IPM to 90IPM without any issue. Is it in the g code? Hood, can you try my code to see how it runs? Its after midnight here but will test it out tomorrow but my mill has servos so it may not show up.